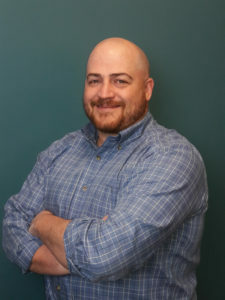 Tom received his Bachelor of Science degree in Health Sciences/Human Services from Worcester State University in 1996, followed by his Master of Science in Physical Therapy in 2000 from the University of Rhode Island. Tom has worked in the orthopedic clinical setting for the course of his career. 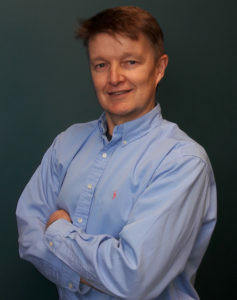 His clinical expertise focuses on manual techniques and manipulation of the spine and extremities. Tom also has significant experience with pre/post surgical rehabilitation of the knee and hip, including joint replacement, as well as shoulder rotator cuff impairment and repairs. Tom is certified in Dry Needling through the American Academy of Manipulative Therapy (AAMT) Dry Needling Institute. 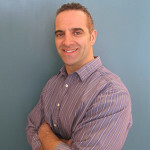 Tom has also completed advanced instruction in spinal and extremity manipulation through (AAMT). He has also been trained and certified as a Strength and Conditioning Specialist through the NSCA. Prior to assuming ownership of the clinical practice, Tom served as adjunct professor at the Community College of Rhode Island in the Rehabilitative Services Dept. 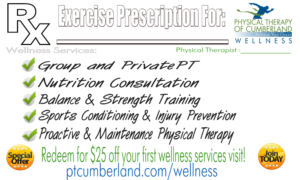 Tom has served in the capacity of Clinic Manager of Physical Therapy of Cumberland since 2005, and has worked for the company since 2001. Karen received her Bachelor of Science degree in Physical Therapy from Northeastern University. 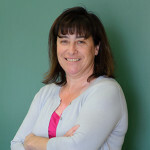 Karen has been with the practice since 2007, prior to which her twenty-plus years of experience spanned the sports medicine and orthopedic disciplines as well as pediatrics within the Cumberland school system. Karen is certified as a Level 1 therapist through the Titleist Performance Institute (TPI). She has also completed advanced training in extremity manipulation through the American Academy of Manipulative Therapy. Karen has experience with infant populations, women’s health issues, and pre/post surgical rehabilitation for the spine and extremities. 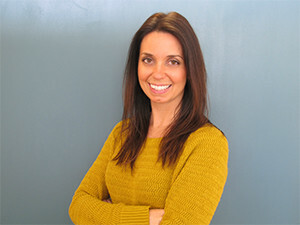 Jessalynn Potts has over ten years of experience in the field of physical therapy. She has served in the capacity of staff physical therapist as well as clinic manager throughout her career. 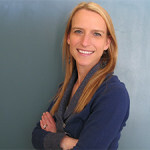 Specializing in post-operative and sports related injuries, Jessalynn received her Doctorate of Physical Therapy degree from Widener University in Chester, PA, and her Bachelor’s degree in Bio-Allied Health from Elizabethtown College in Elizabethtown, PA. Additionally, she holds a Certificate in Health Management from Widener University. Dustin joins PT Cumberland after practicing over 16 years in an orthopedic outpatient setting working closely with some of the states most prominent surgeons. Dustin specializes in all aspects of orthopedic and sports medicine rehabilitation, including joint replacement, ligament/tendon reconstruction and hip arthroscopies/labrum repairs. He has completed advanced training in extremity and spinal manipulation through the American Academy of Manipulative Therapy. He received his Master’s degree in Physical Therapy from Temple University in 2000 and his Bachelor’s degree in Exercise Science from URI. David’s proactive background in healthcare and wellness includes over 18 years of experience as a physical therapist in a variety of practice settings including private practice, home care as well as with industry consulting with mobile health and rehabilitation technology companies. David also brings his nutrition expertise to his new role as Wellness and Sports Services Director at PT Cumberland as a former Registered Dietitian (RD) and nutritionist in acute care, outpatient and corporate health settings. David received both his Bachelor of Science degree in Nutrition/Dietetics from the University of Rhode Island as well as his Master of Science in Physical Therapy. He is also an Amazon best selling author in preventive medicine with his book, Body in Balance. David is involved locally in health initiatives at the school level as a member of the school health and wellness committee in Cumberland. David also serves at the national level as a volunteer stroke spokesperson for the American Heart / Stroke Association and as a Stroke Patient Stakeholder in clinical research trials at Tuft’s Medical Center and Massachusetts General Hospital in Boston. He has also provided patient testimony before the FDA helping to shape future clinical trials to include the patient perspective and improve the patient voice in healthcare outcomes. David was one of the keynote presenters featured at the 22nd Annual Southern New England Rehabilitation Conference-Advances in Stroke Rehabilitation. David’s presentation entitled, “The Future of Home Stroke Recovery and Prevention: Where will Connected Health Tools Fit?” is available here.